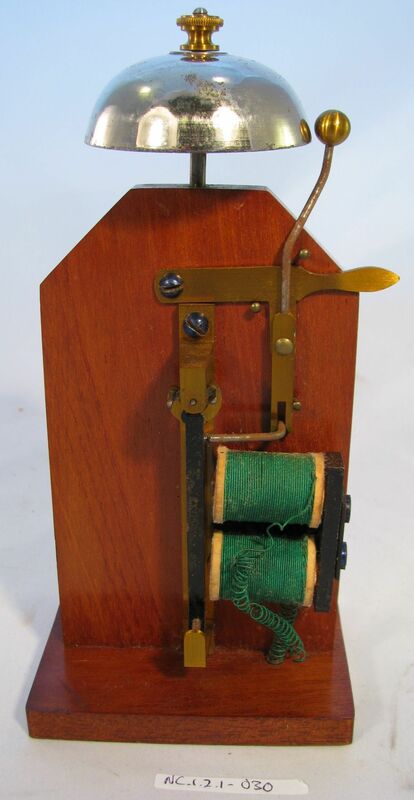 Full Description: A French cased demonstration set of a Wheatstone Telegraph and Transmitter, in a decorated case, and probably for educational rather than practical use. 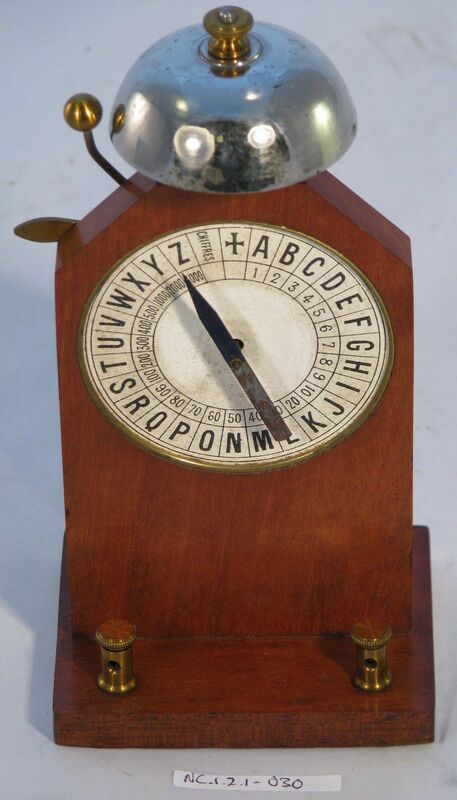 The large leatherette-clad case is gilt-embossed on the lid with a lighthouse, sunset, cluster of batteries , and the word “Electricité”; within. 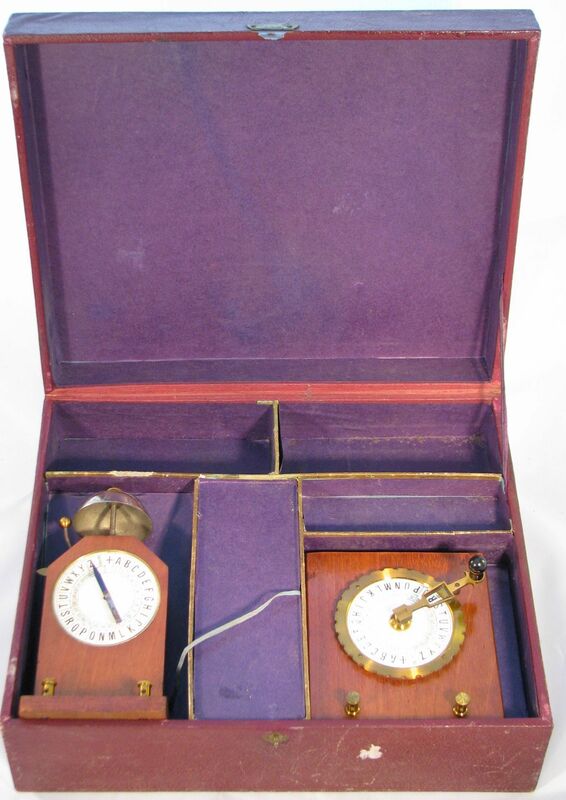 Only two of the five cardboard chambers contain items. 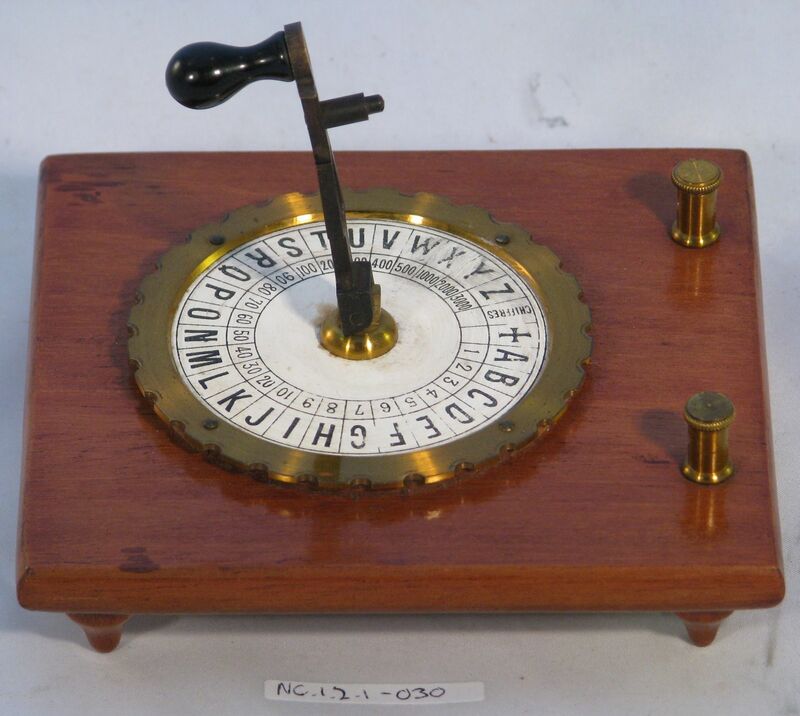 One holds a mahogany standing version of the Wheatstone Single-needle Telegraph, with a radial white dial edged with annular arrays of letters and numbers, and with a central metal pointer. 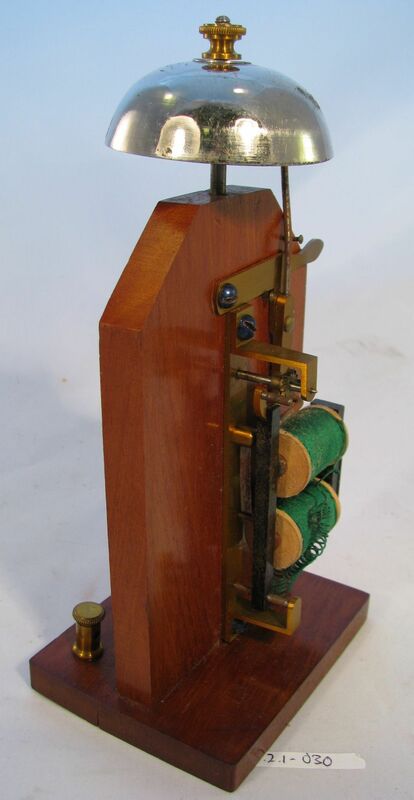 To the rear, there is a pair of solenoid coils which operate a clapper that strikes the plated metal bell at the top of the instrument. 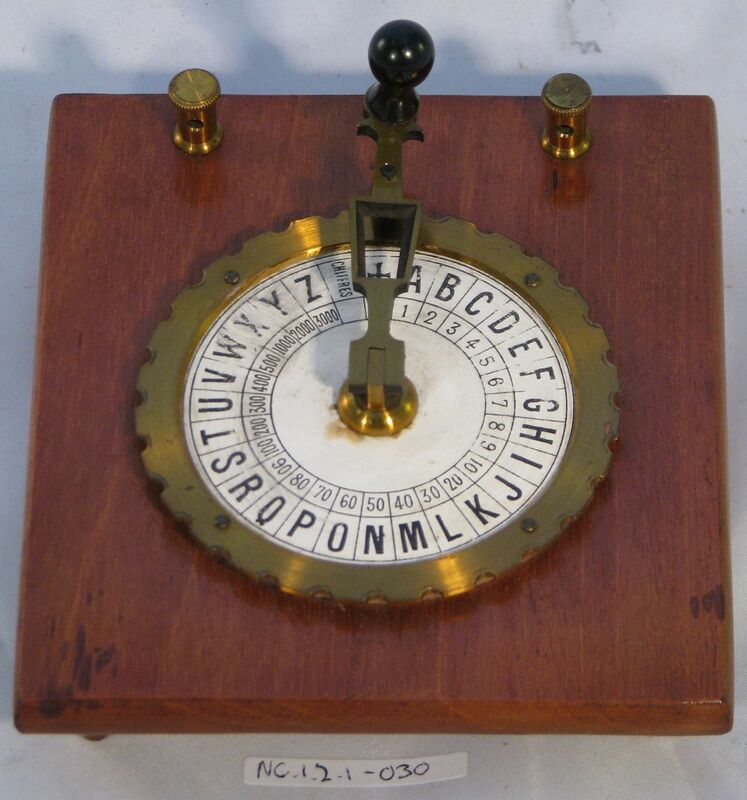 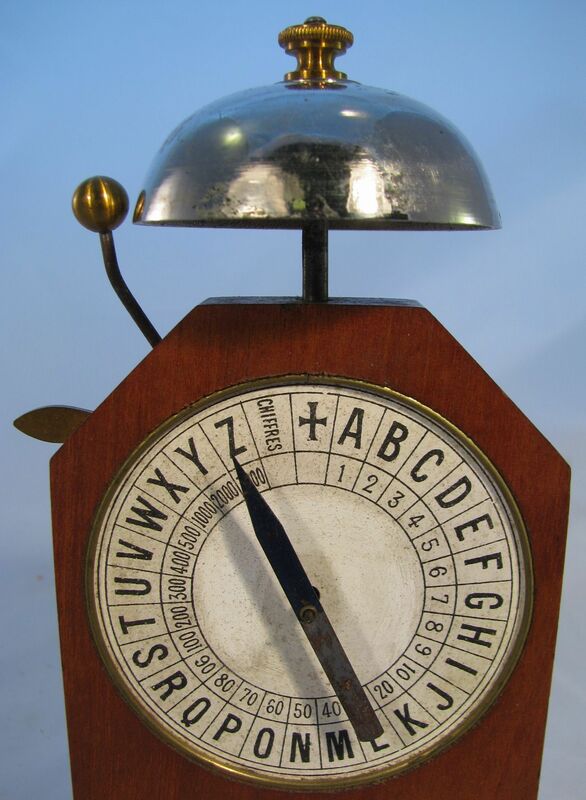 The other instrument in the set is a flat transmitter, in fine brass-work, with a central crank that rotates a contact around a dial of letters and numbers matching that upon the receiver. 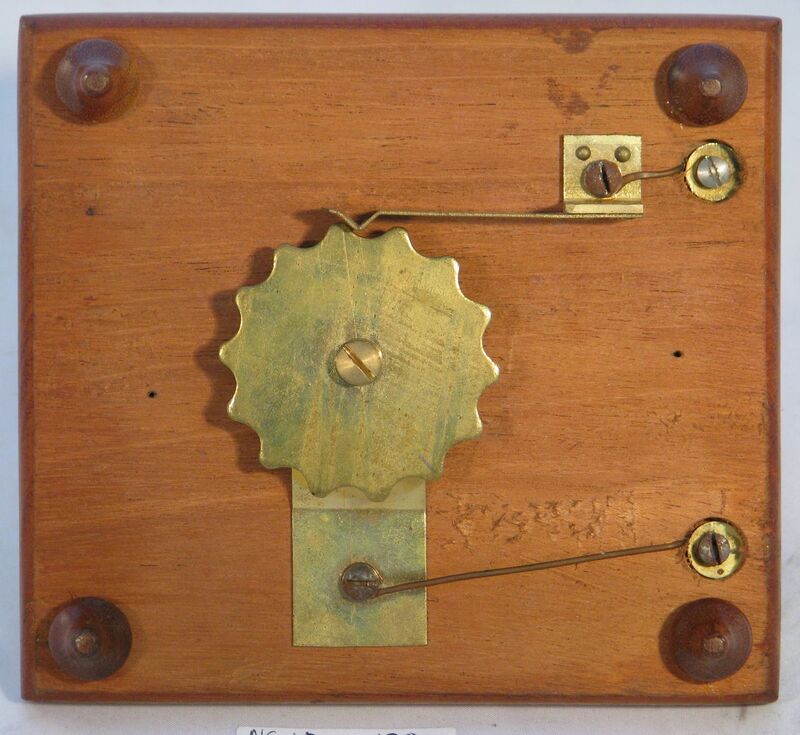 Two contact pillars transmit the impulses being received from a central notched contact wheel under the dial.